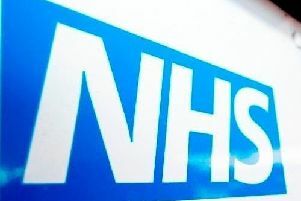 The boss of Sussex’s ambulance service is due to leave the organisation after less than two years in the job to take up a leading NHS role in the North West. Daren Mochrie, who became chief executive of South East Coast Ambulance Service NHS Foundation Trust (SECAmb) in April 2017, will take up the same position at North West Ambulance Service next spring. The news of his forthcoming departure comes days after SECAmb’s overall rating from the Care Quality Commission was upgraded from ‘inadequate’ to ‘requires improvement’. However the trust remains in special measures. The GMB union has expressed its disappointment as staff had signed up to Mr Mochrie’s long-term vision for the trust. Mr Mochrie said: “I am and will remain immensely proud of the real progress we have made at SECAmb during the past 18 months. I know that there is still more to do but as a trust we have already made significant steps forward and I know I will be leaving the Trust with a strong leadership team who are committed to making this happen. David Astley, SECAmb chair, said: “While I was disappointed to hear of Daren’s decision, I am pleased that he has the opportunity to further his career by leading North West Ambulance Service from next spring and we wish him every success. “The fact that Daren has been recruited to such a major role reflects the high regard in which he is held nationally and is testament to the improvements he and everyone at SECAmb has made since he joined the trust. Charles Harrity, GMB senior organiser, said: “Mr Mochrie’s decision only serves to highlight the chronic lack of senior management leadership at this ambulance trust. “The fact that there has been any kind of services within SECAmb is due to the dedication and professionalism of the staff on the ground. The commitment of the paramedics, call handlers and ambulance staff is beyond reproach. The same cannot be said about senior management of this organisation. He added: “The next appointment needs to be carefully considered. This vital public service deserves more than a fly by night appointment.